LUCY BURDETTE: Reds, what are you doing today?? Anyone braving the Black Friday shopping crowds? I won’t be out there, unless it’s a bookstore. Speaking of books as gifts, how about sharing one recommendation for a book to give for the holidays? Here's mine: For kids of all ages, I can't rave enough about Bolivar by Sean Rubin, about a little girl living in New York City who discovers a dinosaur living next door. The illustrations are flat out stunning and the story is terrific, too. HALLIE EPHRON: I'm with my own "little girl living in NYC"... my 5-year-old granddaughter who is a pip. And her baby brother who climbs and jumps off things all day long. Bolivar sounds like a book they'd like. They have the Knuffle Bunny books which are set practically in their neighborhood in Brooklyn. I'm reading a book for our times, POST-TRUTH by Lee McIntyre, a slender volume written by a philosopher (who also writes crime novels). HANK PHILLIPPI RYAN: LOVED Post Truth. It's brilliant. (in fact, I gave it as birthday gifts to the adult kids over the last year!) For kids, I just saw Ada Twist, Scientist, by Andrea Beaty, which celebrates girl power and women scientists, and it looks amazing. I always give the Edward Eager books to older kids--9 -ish--they are wonderful classics, about family and magic and curiosity and sibling power. For adults, hmm. I haven't read it, but Michelle's book (;-) ) looks pretty irresistible. (And I am deep into book judging, so more I cannot say.) And it's the opposite of festive, but The Radium Girls by Kate Moore is chilling and important--about the women who pointed the radium dials on watches, and what happened to them, and what happened to occupational health and safety laws as a result. And no, I would not set ONE TOE into a store on Black Friday. Forget about it. DEBORAH CROMBIE: Oooh, I love these suggestions. I'm definitely going to check out Bolivar for Wren. I will have to have a good prowl through a bookstore in the next couple of weeks for my gift ideas. I would recommend Ann Mah's THE LOST VINTAGE. It was one of my favorite reads of the year. It's such a good mix of contemporary France, history, mystery, and romance. RHYS BOWEN: No Black Friday for me either. John and I went once to a big electronics store and found amazing bargains... then we saw the line to check out went all the way around the store. No thank you. No bargain is worth that much of my time! I have resorted to Amazon gift cards when I can't come up with anything else. One son-in-law loves to read but he will probably have read all the recently released mysteries/thrillers. Debs I must get THE LOST VINTAGE. I love books set in France. The book I would love to give as a gift is the WONKY DONKEY. Such a fun book! Alas I have no little children on my list any longer. I'll have to give it to myself and read it out loud. I'm just reading the new Kate Morton and I have to say I'm having a hard time getting into it. So many narrators and time periods and it seems that one of them is a ghost...I was so looking forward to this too. I may put it down and start on Louise Penny's latest. Always a big treat. How about you Red readers? Black Friday shopping? A holiday book recommendation? Oh, no, there will be no Black Friday store shopping for me . . . .
Ah, books. The older Colorado grandson is getting Chris Grabenstein’s wonderful “Escape from Mr. Lemoncello’s Library” and “Mr. Lemoncello’s Library Olympics.” His brother is getting “Pete the Cat and His Magic Sunglasses” and “Pete the Cat Saves Christmas” and their mom is getting Jodi Picoult’s “A Spark of Light” . . . . The oldest two of the Virginia contingent and their mom are all getting gift cards so they can pick their own books; the little guy is getting “Caterpillar Spring” and “Meet the Dinosaurs” and the baby is getting “Baby Touch and Feel Animals” . . . .
Everyone will be happy in your crew Joan! I have no small children around me now, but when I did, I usually went for books I remembered from my childhood. I usually find Dr Suess' Sleep Book for the adults to read to the kids, Moose juice and goose juice will get messed up every time, I just know it. If I could find Friendship Valley by Wolo, I would make it required reading for adults and then they need to read it to the kids. And for adults, well that one gets tricky.... My tastes are usually so different than other members of my family. I have been known to purchase gift cards but try to make to the local book store. I love getting a gift certificate to the local bookstore, deanna, that would be perfect! Going to check and grab one now. Hope the deals are still available. I'm currently savoring "The Lost Vintage" and Michelle's book is on my wish list, along with Kate Morton's. My copy of "Lies Sleeping," the new Ben Aaronovitch arrived the other day, but I have yet to break it out of the box. And, I know I'm a bad person for this, but I have only the vaguest idea of what I'm getting any of the people on my Christmas list this year--except for one friend's granddaughter. I spotted her gift months ago and have already vetted it with mother and grandmother. And, I must admit, I committed a tactical error. I have an appointment to go to a phone store near a mall today, and talk with a salesperson about changing my wireless phone service and upgrading my phone. Dumb, I know, but I don't usually pay any attention to Black Friday, and at the time I was thinking, "Oh, I'm not doing anything on Friday except meeting a friend for dinner, and this would put me halfway there." At least I have an appointment. Maybe it won't be a tragic mistake. Wish me luck. Gigi, we will watch for a post from you tomorrow as a "Sign of Life." Good Luck! I want Lies Sleeping but it's not in paperback! Rhys, The Wonky Donkey would be great for random cheering up, for anyone. All my daughters are here, we had the best Thanksgiving at the farm this year. Today, we are all having lunch with my brother and our mom. It was a challenge to find a place for eleven people to have lunch without venturing into the shopping frenzy, which I refuse to take part in. Luckily, there's a brewery that serves great pizza and salads and has enough seating and parking for hordes of diners, and is away from any mall. Even better, we'll be able to sit in the heated tents outside, where it's much quieter. this sounds so lovely Karen, have a beautiful day! Even though I have no children at home and I don't see my grands too often, I still have my collection of children's books! My recommendation would be any book from Laura Numeroff. If you have never read them, you simply must! Give A Mouse A Cookie is brilliant and they just keep getting better! When my youngest,Laura,was small, we would make up new stories in the same style. They simple are the best books! I also have all of Mary Englebreit's books about Ann Estelle and her Father Christmas one and several others. The illustrations alone are a reason to purchase the books. I also adore the books by Tasha Tudor. I love the animals in them and, once again, the illustrations. I also would recommend any book that has been illustrated by Eloise Wilkin. The detail of each character is brilliant and children of all ages love them.In case it is not obvious, I simply adore children's books! I have started my reading of Christmas mysteries. In my pile will always be Agatha Christie's Hercule Poirot's Christmas. I have just finished reading Twas the Knife Before Christmas by Jacqueline Frost. What a hoot that was! I missed the first in the series, but this was no problem at all. I highly recommend it! I have just started Let It Sew by Elizabeth Casey and this series is one I read often. I am also reading my way through the Donna Andrews Christmas books. They just get better and better! I don't do Black Friday any more. I have in the past and have stories that would make your hair curl! I really do not understand the whole thing. It may be due to my not liking crowds of shoving people and overly heated shops. It makes me nauseous just thinking about it! Better idea to stay home and read Christmas mysteries Deb. Do you only read them at this time of year? Deb, my 20-year-old nephew was just talking about 'When you give a mouse a cookie" the other day--he and his brother loved those books! I found these at a local bookstore on Wednesday. Instead of "Cars and Trucks and Things that Go" or "Brown Bear, Brown Bear", the baby university offers board books on general relativity, rocket science, Newtonian physics, and quantum physics. Maybe the books put babies to sleep. I had no plans to venture out today and haven't done the Black Friday thing in many years. And when I saw my temeprature here was 7 below zero I don't even want to go out to get the paper let alone go shopping. My grandson loves the Tractor Mac books so he will get a couple of those. I'm not sure about my granddaughter - she is in high school now with a very heavy load and unfortunately I just don't thing she has time to read for her own enjoyment. But if I could find the perfect dog book I would get her that anyway. What makes them perfect is the dog doesn't die. Any suggestions for me? Jon Katz writes excellent books about his life in upstate New York and the dogs that make it possible. He usually says up front, on one of the intro pages, if no dogs die in the book because he knows his readers are sensitive about that. You might try "Dog Days," for a start. Thanks, Debs, for the shout-out. Judi, the F.B.I. K-9 series, three books out so far, is a great one for the bond between dogs and humans. I can't see the main dog star Hawk dying at any point. Thanks for the great suggestions! Looking into them now. All the Andy Carpenter mysteries by David Rosenfelt are dog-perfect. For current reading, try "The Twelve Dogs of Christmas," out in trade paperback. I think he has a new Christmas out, too. Prior to the onslaught of Black Friday, when it was just mere sales (and not madness) on the Friday after Thanksgiving, I still would never venture out into the crowds. Now? NO WAY. No littles for books any more, unfortunately, because that is one of my all-time favorite things to do--watch a little one's face light up as they read (or are read to) a new book. 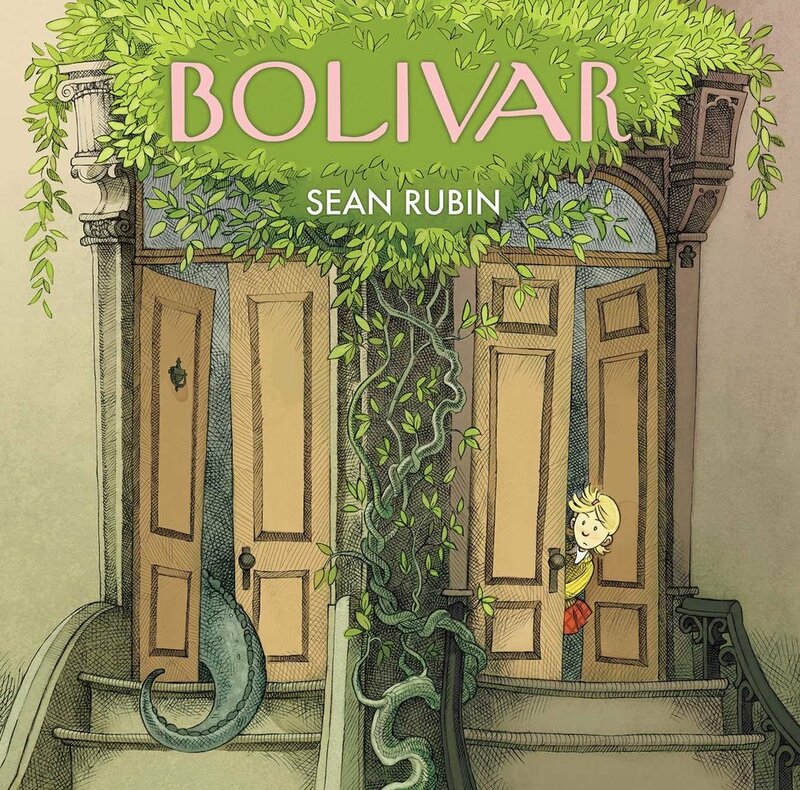 But, I am going to have to find a copy of Bolivar--it looks wonderful! And The Lost Vintage also sounds like something I need to find. But, Rhys, I'm with you on the Kate Morton. For one thing, I kept thinking as I read it that it was by Katherine Howe--the author's voice was so similar. And I had most of it figured out long before the end came in sight, including the romance(s). There was a definite let-down, for me at least. I'm another to agree about the Kate Morton. I read it clean to the end, thinking something would make it worth while the time. Well, not for me. I thought one of her books, I think titled "The Secret Keeper," was brilliant, but that about does it. Hi everyone! Hope you all are well... we are having a late breakfast and planning for the day—the gang’s all here! Love you.. Absolutely no Black Friday for me! I've already picked up a book of poetry by Charles Bukowski for my son. And, although I have no kids on the gift list, I saw a copy of one of my own childhood favorites and grabbed it. I will settle in today and get lost in the pages of "Half Magic" by Edward Eager. How did I miss this post? Let's blame my cake debacle! Yes? I swear I was at the grocery store four times on Wednesday when my bundt went all wrong - twice!!! Ack!!! Hope you all have a wonderful turkey recovery day! Pictures, or it didn't happen, Jenn. You know we'll need to hear the whole sorry saga eventually. I'm sure, from what you've told us of your clan, you all had a joyous Thanksgiving anyway--or at least had lots of laughs. Shalom Reds and fans. I like to say, “I don’t do crowds,” but that’s not exactly true. Tonight Santa is coming to our small hamlet to light the community tree for what is apparently the 104th year consecutively. It is supposed to be frigid out this evening but I suspect everyone will turn out anyhow. Last year, they even had snow-makers. Also a week and a half ago, I traveled two and a half hours each way to New York City to the Jewish Book Council’s annual cash-and-all-you-can-carry book sale. I expected, maybe, several dozen people to be there. I arrived exactly on time and found a queue of at least 200 people. I was not disappointed by the selection they had when I finally got to look at the tables full of books. For recommendations, I also am currently listening to the audiobook version of a Jodi Picoult book. It is called “small great things”. It is a book about race among other things. A nurse on a labor and delivery unit of a hospital is the protagonist. A newborn dies on her watch. She is the only black employee on the ward and the baby’s parents are white supremacists. The book is told with 3 first-person narratives. Each narrator is played by a different reader, so it’s very easy to follow. I’ve listened to about 70% and I still have no idea how she is going to end this novel. This story will draw you in. For children, I always recommend books from my childhood. For books that can be read in a single sitting, for children of all ages, I always mention James Thurber’s Many Moons, a delightful parable about knowledge and wisdom. And I also love Kenneth Graham’s The Reluctant Dragon. These are both picture books, however, I am not sure how easy it is to find the original editions. You probably need to order them mail order anyhow. A CD and mp3 download of the latter book with Boris Karloff doing all the voices are available. Wow! Boris Karloff as the narrator! That must be lovely. I didn't know until recently that, long after he quit doing Frankenstein films, he hosted a children's radio program in New York, playing music and reading stories. I'll bet it was amazing. It's certainly how he got the gig doing the narration for the classic animated special, "How the Grinch Stole Christmas," that we all grew up loving. I didn't know that either. Thanks for the info. Happy Thanksgiving. No Black Friday shopping here either unless it is online. I did get a bargain on Trekz Titanium wireless bluetooth bone conduction earphones for Julie, amazing technology for someone who what to listen to music 24/7 and still be able to hear and talk. All we're doing today is getting morning haircuts and them coming home and cooking our own turkey. I just finished reading for the third time THE LAUGHING POLICEMAN by Maj Sjowall and Per Wahloo. This is the quintessential police procedural in my estimation and a must read. And then there is Susan Hill's newest Simon Serrailler, THE COMFORTS OF HOME. Absolutely outstanding, as all her books are. Wonky Donkey is hysterical to read out-loud! And the illustrations are wonderful. I don't really do store Black Friday shopping. However, I did order a concert ticket for March of 2019 online this morning. And I put a CD by Lone Justice that came out today on reserve which I'll probably pick up tomorrow. Other than hitting the grocery store, I'm not planning on going to any stores today. I do have to go pay a bill in person though (I do NOT pay bills online for anyone who might be moved to use that response). Oh, and I got a free pizza from my rewards membership to Papa Gino's so lunch is on them today. Then I'm going to the movies. For lighter toned mystery fans - Jon Land's new Murder, She Wrote novel "Manuscript For Murder" was a great read. And he even commented when I posted my review link on my Facebook page. For more intense mystery fans - Michael Connelly's Dark Sacred Night is outstanding. And I said so in my forthcoming Mystery Scene review of the book. For the sci-fi / TV tie in novel fans - How about the first ever prose novel for the TV show Firefly called "Big Damn Hero". It's written by James Lovegrove and edited by series creator Joss Whedon. And don't forget that the new Maddie Day book "Murder on Cape Cod" is coming out next month! I'm eagerly awaiting that one as well as the announcement of when our ever so delightful Maddie Day / Edith Maxwell will be doing an on Cape signing for it! There's more I could rave about but that should keep people busy. I hope everyone was sufficiently sated from their turkey dinners, I know I was. And I have leftovers to look forward to tonight as a meal and tomorrow as a sandwich. YAAAY! What movie are you going to see, Jay? I went to see Creed II and Instant Family today. I liked both of them a lot. I, like Gigi, am looking forward to the new Ben Aaronovitch, arriving today. But that's Christmas shopping for me, isn't it? I have ordered one thing for the granddaughter, but other that I'm not even thinking about Christmas shopping for a few more days! So many wonderful book recommendations above! Thank you, Jungle Reds! No Black Friday shopping for me either. I am not even going grocery shopping either. I can imagine not only will the shops be crowded. I think the traffic out there will be crazy too. Driving out there. No thank you. There are many holiday books I love. I got a book swap through Instagram and I asked for a novel by a British author. Only one of her books have been sold in the USA! All of her other books are not in American shops nor libraries anywhere! I loved the Maisie Dobbs series by Jacqueline Winspear and the Maggie Hope series by Susan Elia MacNeal, which I received for Christmas over the years. I would recommend all of the books by Jungle Reds for different personalities. Some people like classical mysteries (some do not like the tern cozy so I am using the term classical instead). Some people like thrillers. I love the Isabel Dalhousie novels and Ladies No. 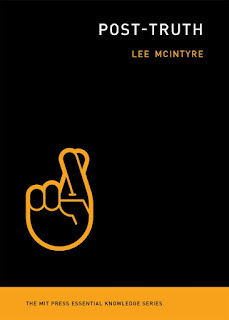 1 Detective Agency series by Alexander McCall Smith. For children, Winnie the Pooh stories or any children's classics. There are so many wonderful books. tell us about how the Instagram book swap works Diana? and thanks for the kind words. Winnie the Pooh is the best! Lucy, thanks! I love Winnie the Pooh. I am new at this! I will add a note here after I find out how it works. 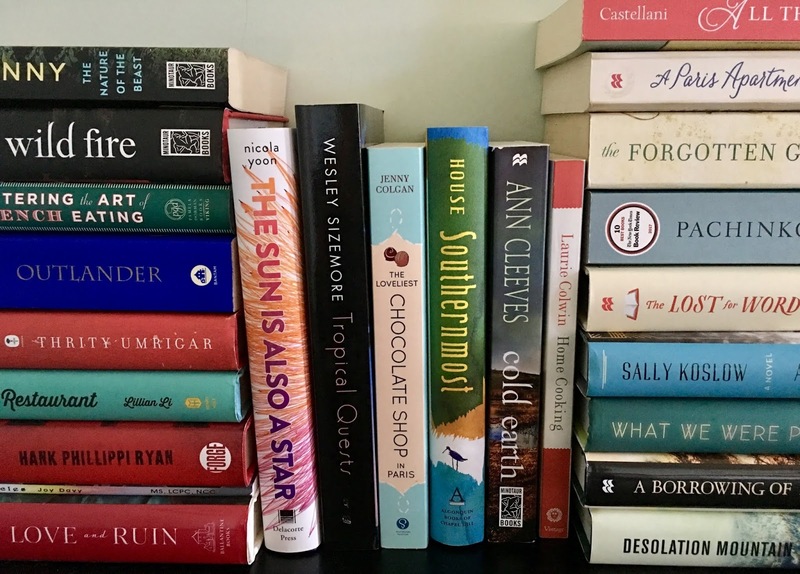 A bookstagrammer friend matched people who wanted to swap books for christmas. Since my match was in England, it was easier to order through book depository and shipping is free. I used book depository and it was easy! Since I was new to this, I was not sure how this would work. No Black Friday outing for me. It'll be reading, turkey sandwiches, watching the rain. I'm doing my Christmas shopping long distance at Land's End, so that will be easy, and beside that, a few gift cards. Deb and I seem to be on the same page. I'm beginning my reading of Christmas-themed short stories in The Big Book of Christmas Mysteries edited by Penzler, and I also have Hercule Poirot's Christmas lined up to read. The anthology will take a while to get through, so I'll read the novel in midst. No Black Friday outings for me. Going to hang out with family and start some Christmas decorating. Ha! No Black Friday shopping here, although my son has to work at a store this afternoon and evening. He's hoping all the big deals will be shopped out before he gets there. My husband is on his computer now looking for air reservations to go to Key West for a few days next month. Finally! Once he has travel days I'll look for a place to stay. We are looking forward to a break with NO family obligations, funerals, or estate business. Sounds like we're all in agreement about no Black Friday shopping away from our homes. I do plan on looking online at a few items. Since I cleaned house the first of the week, cooked on Wednesday and yesterday, I am having a lazy day today. There are leftovers awaiting my husband and me tonight, and our college team plays basketball at 6, so it should be a wonderfully easy day. Book recommendations. 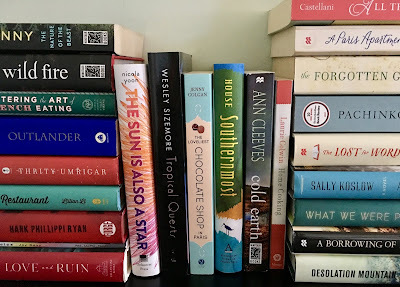 For the nine-year-old reading enthusiast, I'm looking at Linda Fairstein's Devlin Quick mysteries or Tuesdays at the Castle by Jessica Day George or The Story Collector by Kristen O'Donnell Tubb. She's just finished up The Series of Unfortunate Events series and is somewhere into the Harry Potter series, too. The teenager expressed an interest in two of my favorites yesterday as we perused my book shelves, The Canterbury Tales and Spoon River Anthology. She was bragging to me that she had gotten her dad to read Rebecca, which he did indeed have with him and was reading. I'm looking at Michelle Obama's book Becoming for my daughter and not sure what else right now. For son-in-law (after he finishes Rebecca, hahaha), I'm thinking maybe John Grisham's The Reckoning. For hubby and son, need to look more. I'll have more suggestions after I go look at books on Amazon, which I'm getting ready to do. I have just bought P is for Pterodactyl, a quirky alphabet book by Raj Haldar and Chris Carpenter. Great for kids who are starting to read and finding out that English does not make sense.